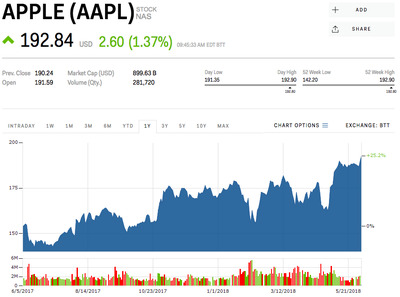 Apple just hit an all-time high. The company has seen a recent boost from strong earnings and the belief its services business has strong growth ahead. 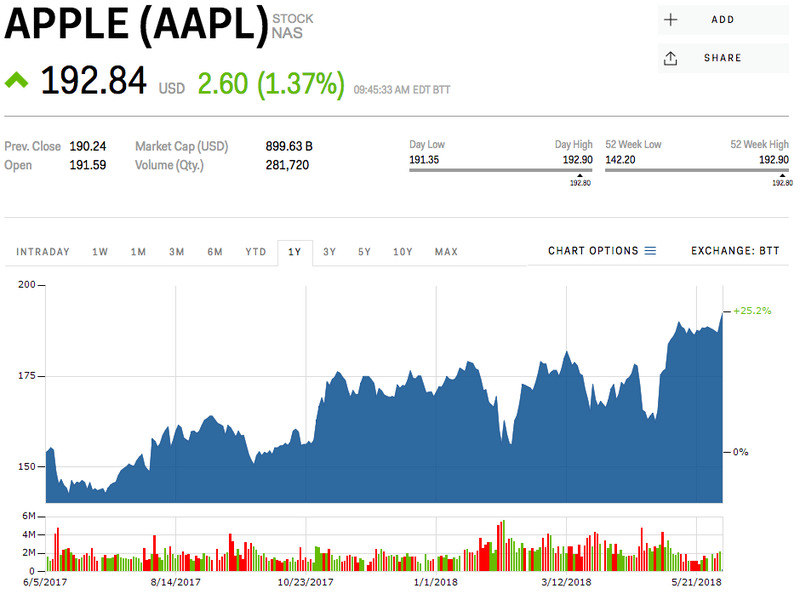 Apple hit a record high of $US192.91 early Monday. Shares had been stuck in a range between $US160 to $US180 for much of the past seven months before the company announced strong second-quarter results that included a hefty share buy-back plan. Apple, classically a hardware and devices company, is in the midst of what looks to be a shift to services. In March, Morgan Stanley said it expects more than 50% of Apple’s total revenue growth over the next five years to come from services. Meanwhile, it says the iPhone, which has contributed 86% of Apple’s revenue growth over the past five years, will make up just 22% of that revenue growth. Apple shares are up 11.76% this year, outperforming the S&P 500’s 2.76% gain.